Search Engine Optimization (SEO) is what will help you increase your website traffic to your website based on the efficient keywords i.e. words and phrases that the website owners want to rank for and sites that link to your website (this is because Google considers that if a site links to your website, means it likes your website and finds it important). 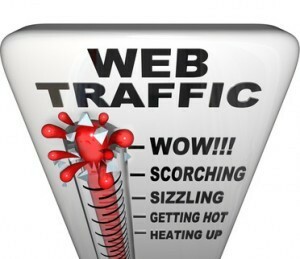 Website Traffic – WOW! SCORCHING! SIZZLING! Some other factors include: the time your website was created i.e. how old it is and the number of pages your website has. To give a short definition to Search Engine Optimization, we can say that it is the increase in the visibility and the traffic of your website due to the so-called organic i.e. non-paid, editorial or natural search results on search engines. 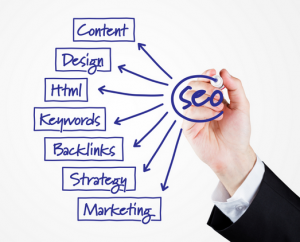 The major search engines for Search Engine Optimization are considered Google, Yahoo and Bing. You can use social media to generate website traffic to your website however these major search engines remain the best and most efficient ways of gaining better traffic for your website. Searching on the above-mentioned search engines you will receive results and be guided to different websites, videos or other things you are looking for, first being shown those links which the search engine considers relevant to its users. The relevance is mainly decided according to the most searched keywords by people. Search Engine Optimization companies have access to certain databases which allow you to learn about the most searched keywords and try to choose those which you can use for your website allowing people to see it if not the first, but, at least among the first links that search engine results show people initially. Of course, choosing a keyword and using it in your website’s important parts is not enough to attract much website traffic, you also need to research those websites which also use the same keywords and check their strength, longevity, ranking on search engines because it won’t be easy to gain higher ranking over these sites which are, in other words, “more experienced”(to be continued…).